GI elements have transformed municipal projects, but can they make the leap to the private sector? 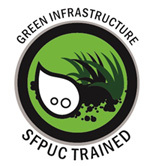 SFPUC offers grants for Green Infrastructure projects of up to $100,000. "Planting Justice" builds a green boulevard to second chances. How to prune your fruit trees for health and vigor. City-funded program subsidizes Sunset homeowners to remove concrete and add plants to their front yards. A current exhibit in Los Angeles looks at dry lakes in the desert, those landscape dead-ends where drainage stops and goes no further. Madrono president Coffey speaks on the beauty and benefit of native plants in a drought-prone landscape. The Santa Clara Valley Water District pays $2 per square foot of water-guzzling landscapes converted to drought-tolerant alternatives. Energy-saving financing program leads the way to a sustainable future. 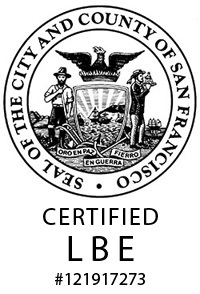 Madroño is a licensed landscape design/build firm in San Francisco specializing in California native plants and modern materials. We bring a new vision to every project, seeking novel design answers to old garden problems. Our clients break free from cliché with vertical landscapes, stormwater capture and reuse programs, architectural fences and decks, low-voltage LED lighting, high-density urban edibles, native low-water sedges and meadowgrasses as alternative lawns, and other good ideas from our drafting table. We use quality materials, superior craftsmanship, and locally appropriate native plants to build beautiful and sustainable landscapes with Bay Area identity. © 2002 2019 Madroño Landscape Design Studio, Inc.